Before I go into what I’ve learned recently about tackling global warming through nutrition farming, prepare to be shocked. Our food contains only 20% of the nutrients the food our grandparents used to eat! This was a lightbulb moment for me. As a qualified nutritionist, I’m always on a quest to find out more about better nutrition and ways to make our food more nutrient-rich at source. And, so is my other half, David Cunningham, who is doing some great work on biological farming in Scotland. Biological farming can not only help create more sustainable and natural farming practices, it could even provide a major part of the solution to global warming – but more on that later! As part of his work, David invited Graeme Sait, CEO of, Australian company Nutri-Tech Solutions who not only have an online health store but are pioneers of nutrition farming. 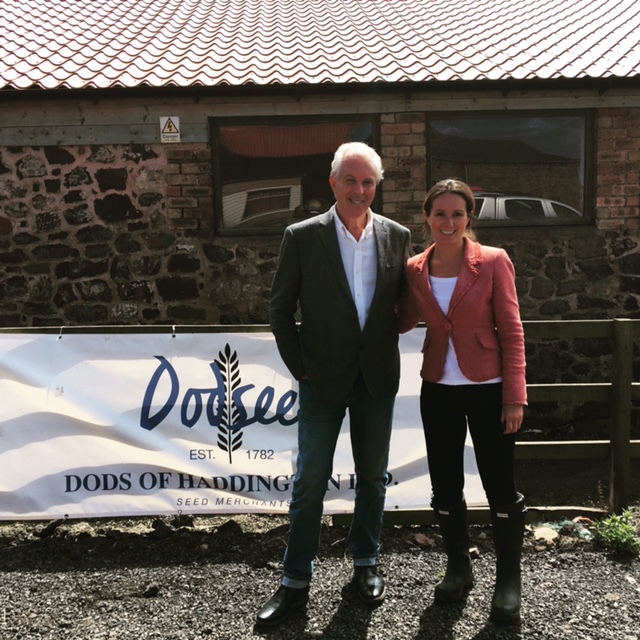 Graeme was invited to Haddington, to give a talk to local farmers about the company’s product development which is pretty mind-blowing to say the least. Nutri-Tech has developed a range of natural products and training courses designed to reduce the use of artificial chemicals in farming. This means we can have more nutritiously-dense crops with no artificial chemicals, while farmers get better yields, bigger profits and sustainable businesses…what’s not to like? Here are some brief key-points about biological and nutrition farming. I’m not going to bore you with too many details, but it’s good to know more about the food we put into our bodies and what we can do to play our part in tackling global warming, so here are a few points I learned from David and Graeme. Humus or Hummus…What’s the difference? Okay let’s start off with Humus. No…not the chickpea and garlic dip…that’s Hummus (but watch out for my Hummus recipe in a couple of weeks’ time). 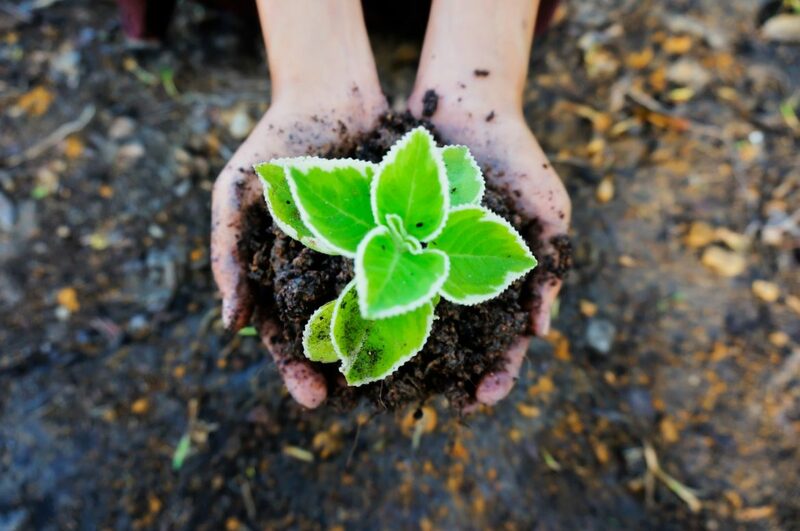 Humus in the soil, as you keen gardeners will know, is the result of the breakdown of plant and animal matter and is the primary storage that holds all the nutrients in the soil together, including carbon. Humus therefore increases the nutritional value of our food. Now here’s the scary bit! There has only ever been the same amount of carbon molecules on the planet and these molecules flit between the soil (the biggest storage system of carbon), plants and the atmosphere. A great deal of carbon that used to be in the soil as humus is now in the atmosphere as Co2, creating a blanket of greenhouse gases and heating the planet – in other words – global warming. To tackle global warming, we desperately need to return more of this carbon back to the soil. Choosing to buy our food from those practising regenerative biological and nutrition farming. This means shopping from farmers markets and more local food producers so we can gain a better understanding on where our food comes from and support those who are doing the right thing. Lobby politicians to get behind the practice of paying carbon credits to farmers who actively increase their soil humus and practice regenerative farming. Start composting. Everyone from homeowners to food producers and councils and to be composting more. This is being tackled to a certain extent already through the use of food bins but more needs to be done. I really found Graeme’s visit inspirational and so much of it tied in with what I believe about nutrition myself which was great to know. If you’re keen to find out more, you can watch one of Graeme Sait’s 20-min TED talks on tackling global warming through nutrition farming by clicking here.